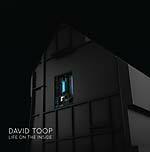 These recordings in two movements can be taken as, on the one hand, pieces for two voices and improvisation chamber orchestra (which is what the musicians felt throughout the recording session) and, on the other hand, pure free improvisation. 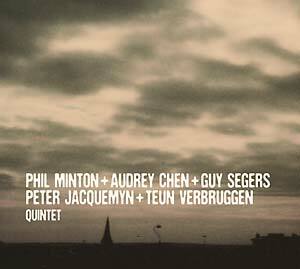 Performed by Phil Minton (voice), Audrey Chen (voice + cello), Guy Segers (electric bass), Peter Jacquemyn (double bass), Teun Verbruggen (drums + percussion). Things get dislocated, gather themselves, spread across areas of varying intensities. 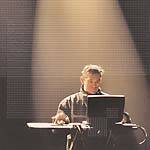 More intimate or more complex songs. Closer to the sacred, left untouched by mediation, even slightly incomprehensible, though mostly ambivalent and reality-piercing. At times, the music seems to lead us to a meaning that is deeper than the textual level. Or is it the depth of another possible song? That's when the music takes us to areas that seem perpetually urging, more than their simple addition of voices and instruments. Phil Minton (1940, Torquay, United Kingdom) is a jazz/free-improvising vocalist and trumpeter. Minton is a highly dramatic baritone who tends to specialize in literary texts. He is perhaps best known, however, for his completely free-form work, which involves "extended techniques" that are extremely unsettling. His vocals often include the sounds of retching, burping, screaming, and gasping, as well as childlike muttering, whining, crying, and humming; he also has an ability to distort his vocal cords to produce two notes at once. Audrey Chen uses the cello, voice and analog electronics, delving deeply into her own version of narrative and non-linear storytelling. A large component of her music is improvised and her approach to this is extremely personal and visceral. Guy Segers is best known for his bass work with Univers Zero (one of the most important and influential Rock In Opposition acts). Peter Jacquemyn moves easily between the visual arts and music (he plays double bass). He is a longstanding member of the Belgian WIM (Werkgroep Improviserende Muzikanten, or "Association of Improvising Musicians"), playing concerts since 1984. Searching for a personal touch and wanting to explore all possibilities of playing music and drums, Teun Verbruggen's lack of boundaries and styles and trying to find fresh sounds and freedom in collective improvisation made him work (as sideman) with Jef Neve Trio, Alexi Tuomarila, Jimi Tenor, Steve Houben, Othin Spake, Mauro Pawlowski, and Karanova.